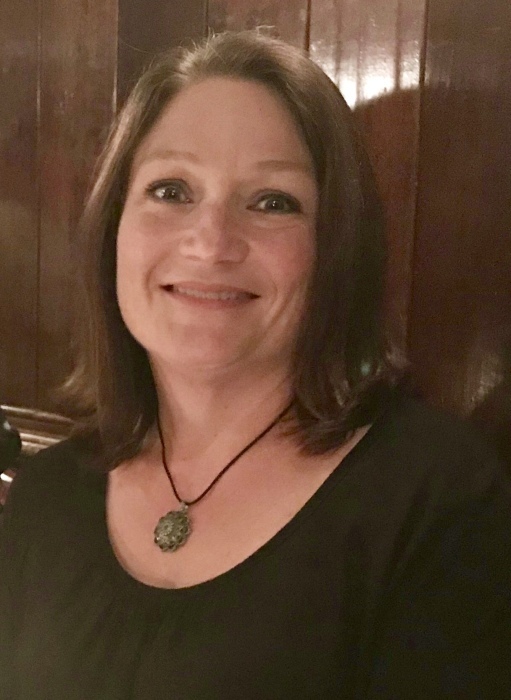 Dawn Elizabeth Henry, 48, of Franklinton, passed away April 3, 2018, surrounded by her family. She was born in Macon, Illinois on September 27, 1969. Dawn was a loving wife and mother who enjoyed Caribbean cruises, reading, and most of all spending time with her family. She loved watching Brennan play football at South Granville High School and was excited about Abby's upcoming graduation from UNC Charlotte in May. As the oldest of six, she mothered her siblings even in adulthood and adored them all. She was an avid, yet a semi-successful gardener, having difficulty with the North Carolina red mud after many successful years in the Illinois dirt. Her kindness, compassion, and contagious laugh will be missed by all who knew her. Visitation/viewing was held from 5:00-8:00 PM, Thursday evening, April 5, 2018 at Pleasant Grove Baptist Church, 2677 NC-56, Creedmoor, NC 27522. Funeral services were held at 12 o’clock, Friday, April 6, 2018 at Pleasant Grove Baptist Church. Mrs. Henry is survived by her husband of 27 years, Brian Henry; Children, Abby Henry and Brennan Henry both of Franklinton; parents, Sharon Lash Gregory of Durham and Bud & Suzanne Gregory of Fort Myers, FL; siblings, Lisa Boliard & husband Bruce of Macon, IL, Justin Gregory & wife Aslin of Cape Coral, FL, Devon Jones & husband Charles of Edwardsville, IL, Lacey Gregory & wife Beth of Fort Myers, FL and Kelsey Eason & husband Mike of Durham; mother-in-law, Carol Henry of Columbus, OH, and numerous nieces and nephews. Memorial contributions may be made to the charity of your choice in Dawn's name.